When you work with our top law firm, you won’t have to pay for a lawyer unless you win. Thomas J. Lavin is known as one of the greatest attorneys in the state. Thomas J. Lavin has spent over two decades providing the injured with aggressive and honest legal representation. Our award-winning lawyers have won large settlements and verdicts on behalf of injured clients in Palm Beach County. Law Lavin 5/5 stars – based on 11 reviews. When you lose a loved one in a tragic accident, legal action is not a priority in your thoughts. Nevertheless, it’s imperative for survivors to speak with a good wrongful death attorney as quickly as possible. Many families will face significant financial difficulty without the contribution of their deceased loved one. At the Law Offices of Thomas J. Lavin, we will help you recover damages for the losses associated with a wrongful dying. If you have lost a loved one anywhere in Florida in a wrongful death arising from medical malpractice, nursing home negligence, a workplace or traffic accident, or a defective consumer product, speak at once with a knowledgeable wrongful death attorney from our law firm. WHAT HAS TO BE PROVEN IN A FLORIDA WRONGFUL DEATH CASE? Wrongful death happens when negligent or reckless behavior results in a fatality. Under Florida law, you as the survivor of a person who has died as a result of the negligence of another person or party may be eligible to file a wrongful death claim. The wrongful death claim will allow you to recover damages that include lost support, lost inheritance, loss of parental guidance, funeral expenses, and other damages. However, there are certain key factors that you must be able to prove in a wrongful death claim in order to recover damages. To discuss these, schedule a consultation with a Palm Beach wrongful death lawyer. You have to be able to conclusively establish that the death of your loved one was caused as a direct result of the negligence of the defendant. Remember, there may have been more than one factor responsible for the death of your loved one, and if the defendant was partly responsible for the dying, you may possibly have a claim. Speak to a West Palm Beach wrongful death lawyer to ascertain whether you have chances for a successful wrongful death claim. You must also be able to prove that the dying of your loved one has caused you damages. You must be able to prove that it has affected you, your children, parents, and other family members who have been financially or emotionally affected by the loss of the person. Perhaps your spouse was the breadwinner of the family and his loss now leaves the rest of your family without the financial support that you have relied on for years. In this case, you may be compensated for the wrongful death of your spouse to make up for this loss of income. You must also establish that the loss of the person resulted in financial losses to you. Along with compensatory damages, Florida courts may also choose to award punitive damages designed to punish the negligent party and discourage others from similar behavior. You must be an immediate family member of the deceased person in order to file a wrongful death claim. 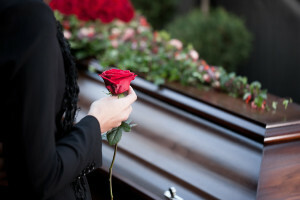 WHO CAN CLAIM WRONGFUL DEATH DAMAGES IN FL? A death in the family is an extremely traumatic time for all. Apart from the emotional distress, you may also have to cope with the financial losses arising from the loss of the person. Medical bills may have piled up, along with the loss of income from your significant other or loved one. Florida law allows survivors of a person who has been killed as a result of the negligence of another to file a claim for damages. Under the Florida wrongful death law, certain survivors of the deceased are eligible to file a claim for damages. These survivors include the spouse of the deceased, the parents of the deceased and the children of the deceased. There may also be other persons who are also eligible to receive compensation for the losses resulting from the loss of their loved one. This can include relatives of the deceased who were dependent on the deceased, either financially or emotionally. Spouses may be able to claim lost financial support as a result of the dying of the spouse. Children may be able to seek damages for lost parental guidance, and lost inheritance, if applicable. Parents of the deceased may also claim damages for their mental trauma and suffering as a result of the wrongful death of their child. All of these survivors of the deceased may also be eligible to claim mental pain and suffering damages as well. If the spouse has been responsible for funeral and burial offenses, then he or she may also be able to recover these expenses to alleviate the financial burden that he or she now faces. To learn more about whether you qualify for a wrongful death claim to recover damages resulting from the loss of your loved one, speak to a lawyer as soon as possible. Remember, the compensation may not bring back your loved one, but it can help alleviate much of the financial distress caused by the death of the person and allow you the time to grieve without worrying about how to pay the bills. Schedule a consultation with a Palm Beach wrongful death lawyer promptly. When the Law Offices of Thomas J. Lavin represents your family, we keep you up-to-date regarding your case, and our team will assist you to move forward with the legal alternatives that are in your best long-term interests. Our office will never charge you a fee until you receive the compensation you deserve. If your loved one has died in an accident and someone else’s negligent or reckless behavior caused that accident, speak right away to a knowledgeable Palm Beach wrongful death lawyer at the Law Offices of Thomas J. Lavin. Contact us by phone at: 561-203-1107. You may also complete the form on our Contact Page to schedule your free consultation today. With offices in New York and Florida, Thomas J. Lavin, Esq. 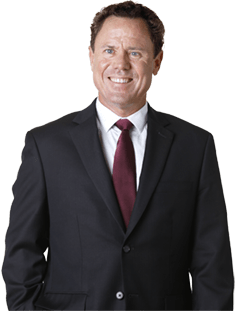 has served clients injured by others for over 30 years. Since forming the Law Office of Thomas J. Lavin in 1984, Mr. Lavin has practiced personal injury law. Can Temporary Employees Sue For Work Injuries? Are Pedestrians Safe In Florida? What To Do When An Animal Causes You To Have An Auto Crash? Who Qualifies For Workers’ Comp In Florida? To learn more about your rights and options, contact us at 561-557-4546. We return all phone calls promptly. If you cannot travel to our office, we will come to your home or the hospital. We speak Spanish — Hablamos español. There are no legal fees if we do not obtain a recovery.